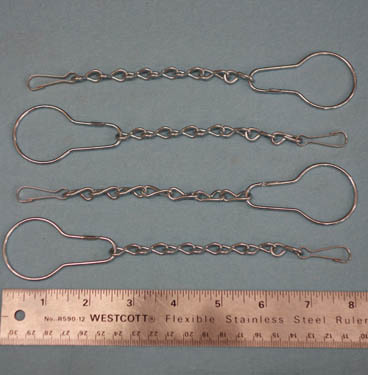 Adjustable hanging kit: 4 rings, 4 snap hooks and 4 x 7 links of jack chain. 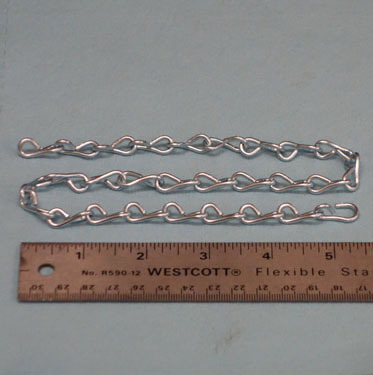 28 links of jack chain for hanging fleece chinchilla hammocks. 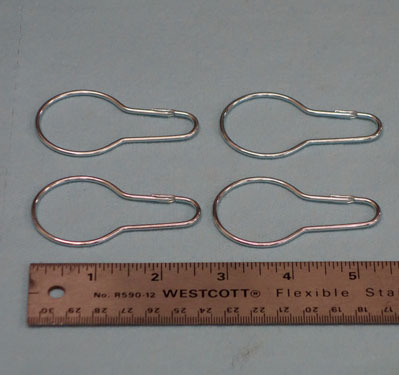 A needle nosed plier will be needed to open the chain links to divide the chain into desired lengths. 4 ea. 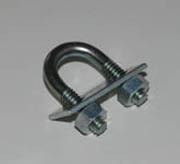 snap hooks to attach jack chain ends to cage wire. Each Flying Saucer Wheel has two bearings. 3/8" ID steel collar and set screw to affix the Flying Saucer Wheel to the wheel axle. Each wheel has 2 collars. 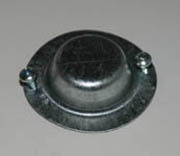 Dust cap to protect the Flying Saucer Wheel bearings from dust and moisture. 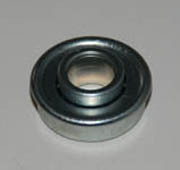 Each dust cap comes with 2 screws for attachment to the wheel. 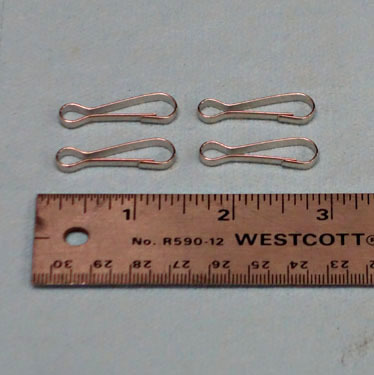 1/8" hex (Allen) wrench for tightening the collar set screws. 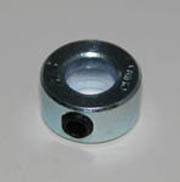 'U-Bolt' consists of the the U-bolt, 2 nuts and 1 plate. Each Flying Saucer Wheel uses 3 U-bolts to attach the wheel stand to the cage wall. All information and digital images on this web site are: Copyright: 2017 by D'Zign Technologies DBA: Flying Saucer Wheels. No text or images may be downloaded or reproduced without the express written permission of D'Zign Technologies. Some of the products are protected by United States Patents. All rights reserved.